One reason you'll love the Advanced Open Water Diver course is that you and your instructor choose from 15 types of Adventure Dives to complete your course. 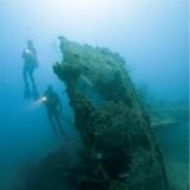 You can try your hand at digital underwater photography, wreck diving, diving with underwater scooters, peak performance buoyancy and much more. 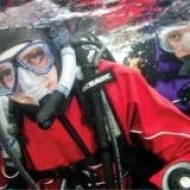 Alternatively, PADI's Adventures in Diving Manual and DVD provide information on more than 16 types of specialty diving. 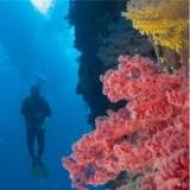 You'll use them as a guidebook to improve your diving skills and prepare for new experiences and adventures. 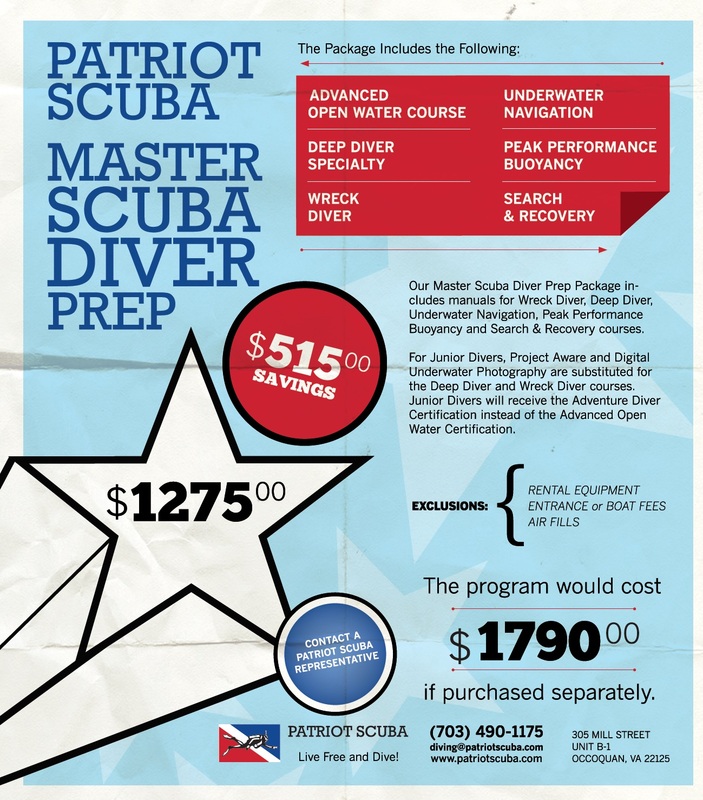 Contact Patriot Scuba for information on signing up for Advanced Open Water Diver! Price $540 - all inclusive! 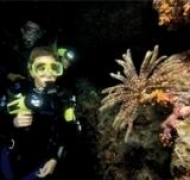 Consider Instead of Advanced Open water - Master Scuba diver Prep!